Let go and get a job. When my daughter was young say around 3, she would always say she was a big girl. She still played with toys appropriate to her age. At around 9 she honestly thought she was a big girl; she wanted to dress and act older. She would have preferred makeup and the like instead of toys. At about 12 or 13 would alternate between acting her age and reverting to a younger age. She had one foot in childhood and the other in young adulthood. Although she wanted to be grown, up there was something preventing her from letting go of childhood completely. She was holding on to the safety of what she knew as she was entering a phase that held uncertainty. Many job searchers do the same thing. They hold on to a past that can never be again. They are afraid of what lies ahead. The past is known even though it holds some painful memories. They know where they are and how they got there. The future is full of uncertainty and so many unanswered questions that create fear and anxiety. 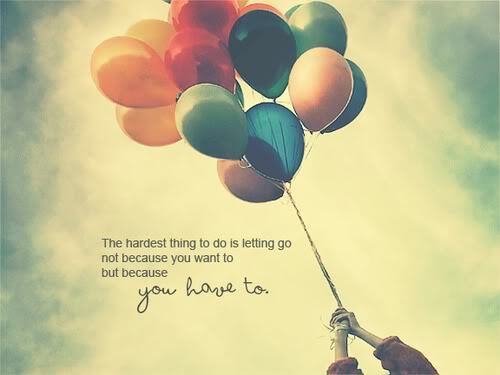 Getting rid of the anger, resentment and bitterness of being let go is necessary to move on. They didn’t fully mourn their last job. Instead, they suppress the negative feelings and emotions as they have been taught by society. Being around unhappy people is awkward because we don’t know what to say or do for fear we make them feel worse. But these emotions have adverse effects on the mind, body and spirit. It is especially beneficial to release the negativity when looking for a job. When the anger and resentment are fully acknowledged and put to rest, the job searcher is fully ready to tackle a successful job search. A job search is frustrating; having emotional baggage makes the search more difficult. A successful job search requires the full concentration of the job searcher. A job searcher needs to be fully engaged in their future and not held back by the past. The tug-of-war between the past and the present get in the way of success by confusing the job searcher as to what they are seeking. Don’t be pulled back by the past. It’s gone. You can forgive the people and events that made it painful, but you can’t remove it. It will always be with you because it has made you the person you are today. . Better things are ahead of you. My daughter left childhood behind. She has graduated from college but continues with graduate level courses. She has a teaching job she loves. And best of all she is married to a fantastic, loving husband. The toys, well they are still at my house. 15 Comments to "Let go and get a job." Thank you Renee. I hope she does too. She has been out of the country for the last month and only got back last night. So she hasn’t seen it yet. Indeed, emotional baggage needs to get checked at the door. Great post. Glad the comment posts that negative feelings are a process versus an event. Thank you Missy for your observation. Many people don’t understand that. You can’t just wake up tomorrow like nothing happened and start a job search. There is a period of grief and getting over the grief. Great post. I love the use of personal stories to bring the reader in and help us internalize the points. Thank you Cheryl, I will continue to do more often. It’s hard to do that though, and I TOTALLY see how effecting a coach would be at helping someone to move through that resentment. Thank you for commenting. Yes it is difficult to get rid of the anger, resentment and bitterness. I wouldn’t have said if I didn’t have a way to do just that. And I do. I guide my clients through a process to help them with that and how to have a better frame of mind during the difficult time of coping with a loss and navigating a job search. I align “letting go” with acceptance. Once I’ve acknowledged what is and accept it for what it is I can move forward. Love the comparison of childhood to being an adult. You are correct. You can’t change what happened but you can change your attitude about it. And to really free yourself, forgive the offender. Doing so has more benefits for you than the offender. My daughter hasn’t seen the post yet. I hope she likes it. Truly, truly profound. Thank you so much for speaking the truth in love. Thank you Kim. Coming from you, that means a lot to me.